As 2018 comes to a close, the channel is still clearing up the security mess of 2017, a year in which an unprecedented number of attacks reached local shores. Amid a flurry of international ransomware assaults - think WannaCry and NotPetya - domestic businesses also succumbed to smarter criminals and more sophisticated technologies. From Australia to Singapore, to India and Italy, the UK and US, as well as Brazil - companies of all shapes and sizes are now under the security spotlight. While such a narrative is nothing new, no longer ground-breaking in a cyber-obsessed market, the repercussions of increased attacks are most felt for managed service providers (MSPs), tasked with offering heightened levels of protection for customers. “Nearly half of Australian businesses were targeted by ransomware attacks in 2017,” said Aaron Jacobs, general manager of Rodin, an Australian-based MSP. “If you’re a business owner and don’t have a background in IT security, then it’s not likely you’re aware of how prevalent ransomware is. With offices across Australia, Rodin specialises within the small to medium-sized business market, ranging from 20 to 200 seats. Founded in 1993, the Wollongong-headquartered business has evolved into a fully-fledged MSP, with expertise across cloud and security solutions. Yet as explained by Jacobs, a key challenge for Rodin’s customers centres around a lack of IT and security resources, mirroring a wider industry trend globally. As with most SMBs, in-house security specialists are lacking, positioning Rodin as the central point for support and guidance, with the MSP aligning with Sophos to bolster customer offerings. “Sophos is ahead of the curve with Synchronised Security, which has been worked on for a few years now,” Jacobs added. Having previously leveraged multiple traditional security vendors, Rodin first started engaging with Sophos in early 2013, utilising endpoint protection, in addition to web and email filtering solutions. Fast forward to today and the MSP leverages key offerings such as Intercept X Endpoint; Intercept X for Server; XG Firewall; Secure Email Gateway and Sophos Central Device Encryption. Rodin also works with Sophos within the MSP Flex program, operating at 95 per cent usage which equates to approximately 1,000 endpoints migrated during the past 12 months, across technologies such as Sync App Control and Root Cause Analysis (RCA). “Before RCA, we used other methods to identify where the file came from, but it wasn’t easy - and often not perfect,” Jacobs explained. “With RCA, we have a visual log that shows the entry point of a file alongside the applications and processes launched. In becoming an MSP Connect Partner, Jacob’s said the team has “streamlined day-to-day operations”, while bolstering overall efficiency amid the goal of increasing market growth by 15 per cent. 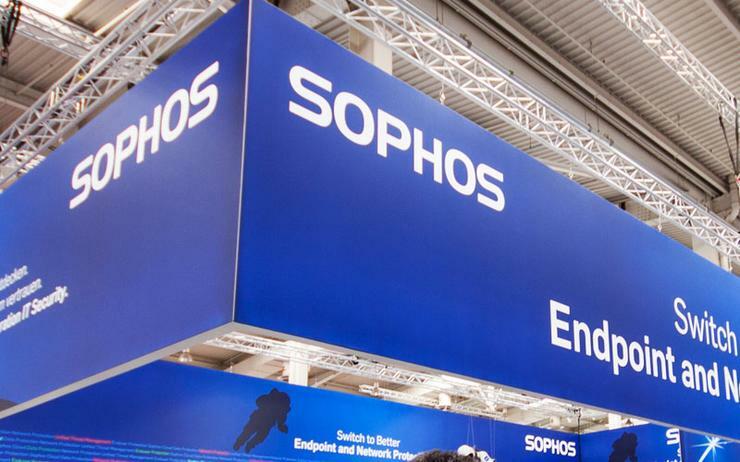 As a result, and in looking ahead, Rodin plans to expand the use of Sophos products across wireless, encryption and education, alongside migrating a further 600 endpoints to the vendor.